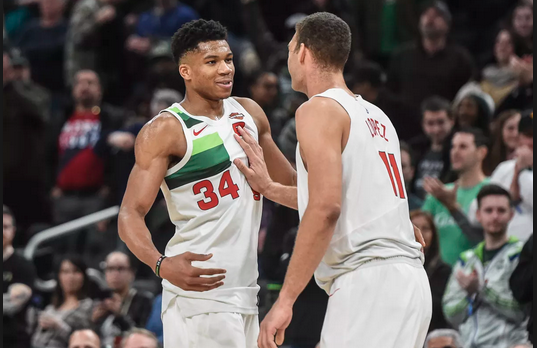 The best team in the NBA as far as record goes, it has been a magnificent season for the Bucks. They fell to the Celtics last year in a series that went seven games. The lack of home-court is what cost them, and their new goal was to gather that advantage for themselves. So far so good. Sacramento has played their best ball in years during the 2018-19 season, but their playoff spot is far from secured. They still have a few teams to climb over, and while it is possible, they need to win games like tonight. What more could you possibly ask for as a Bucks fan this year? They have the best record in the league, a tremendously impressive depth chart, and a coach who knows exactly what he’s doing. The hiring of Mike Budenholzer was an extremely underrated offseason move, as shown by the job he has done. He took the Hawks to 60 wins during his time there, and he’s close to doing that here in Milwaukee as well. Giannis has put together a year where he’s shown to be a more complete player. He’s averaging 27-13-6-1.4-1.5. He is shooting 59% from the floor and has started to consistently knock down the long ball. Khris Middleton is scoring 17 a night, while Brogdon and Bledsoe are both shooting roughly 50% and scoring 16 a night. Nikola Mirotic has been knocking down the deep ball at a high rate since coming into the rotation, and even with George Hill out, there is no reason to panic. DEPTH! They have impressed ever since this season kicked off, but now it has to be time to kick it into another gear. Nemanja Bjelica, who had been a starter for the whole season, has lost his spot in the rotation as the team’s new additions have begun to take over. Buddy Hield is scoring 21 points per game while hitting 45% of his threes. De’Aaron Fox is averaging 17-4-7 with almost two steals per game. These two have kept the team rolling, with a number of contributors around them. In a role that has primarily seen him come off the bench, Bogdan Bogdanovic has managed to put up 15-4-4 a game, and show that he can get it done and do whatever is asked of him. An underrated part of this year’s team is rookie Marvin Bagley III. He’s been on a tear of late, and for the year, he’s averaging 14 points, seven rebounds, and a block per game. He’s making it hard for the team to play Harrison Barnes exclusively at the four. Sorry Kings. It would be great to see you win this game, but the Bucks are almost as good on the road as they are at home. They are going to be winning yet another game. That’s just how it is.